Today, for many younger gamers, the word Atari is the brand name for the French-owned game publisher formerly known as Infogrames that releases highly anticipated new games for systems like the PC, Sony PlayStation 2 and Microsoft Xbox. For most older gamers, the Atari name conjures up images of the smoky arcades of the early 1980â€™s, with players competing for the highest scores in games like Asteroids, Centipede and Pole Position. For others still, Atari represents classic software creation and development of home videogame consoles, computers and peripherals like the Atari 2600, Atari 800 and the classic black single-button joystick (the CX40). Bill Loguidice from Armchair Arcade (AA): Can you tell us a little about your background, such as how you got into gaming and what led to your interest in eventually developing for the Lynx and Jaguar specifically over other platforms? Carl Forhan (CF): I've been an Atari fan for just about as long as I can remember. Well, I can remember before Atari existed, but I still liked the old Mattel, etc., electronic handhelds of the 1970â€™s, so I've always enjoyed videogames. My dad got an Atari when I was about 10 years old, and I was hooked! However, years later when I was in college, the Nintendo Entertainment System (NES) was all the rage, and I played it often but never had interest (or money, notably) to buy my own game system. So I kind of got out of gaming for a couple of years in the early 1990â€™s. Then lo and behold, the Internet! Once I got hooked on that, I started learning all kinds of things, not the least of which was Atari was still making videogames! The Atari 5200 was the last Atari system I had heard about (Atari marketing at work, eh? 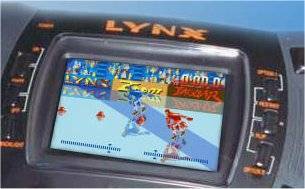 ), so I was pumped to find out around 1994 that they had both a portable system (Lynx) and a home system (Jaguar). AA: Tell us a little about Songbird Productions. It must have been quite a challenge to learn how to do the coding, EPROM burning and packaging designs, etc. Can you tell us a little about how that all came about to make Songbird into what it is today? CF: Coding is always a huge challenge, whether you're trying to do a project from scratch or take someone's existing code and learn it and enhance it. You can waste tons of hours chasing a shadow problem and make very little real headway on the overall project. On the manufacturing side of things, I have several people that help me with the EPROMs, assembly and so on. No way would I do it all myselfâ€”itâ€™s simply too time-consuming. I've also started recruiting more help for graphical layouts, ad designs, etc. There are many people with more talent than me in these areas and the end result is a much nicer product I think. AA: In regards to Songbird, do you consider yourself a businessman as well as a programmer, or does the business end serve the programming as a means to an end? Certainly the business aspects of having your own publishing company must put demands on your ability to program. Further, do you have a full-time job outside of Songbird? If so, can you tell us a little about how you manage all of the demands on your time that so many endeavors must place on you? But the interesting part of carrying lots of stock, particularly "New Old Stock" (NOS) from the original Atari days, is that I spend a fair amount of time packing orders every single week. So the dilemma I face is do I fill orders which makes money but cuts down on my programming time, or do I prune my stock which frees me up but lowers my income? And there's no doubt that real life takes higher priority, and rightfully so; I'd rather play with my kids for 30 minutes than program a game these days. So game programming for me at this point is more of an indulgence than a driving schedule. AA: What has the response to Songbird Productions been? You've been around since 1999 and certainly there must have been many challenges and obstacles along the way. If so, can you elaborate and bring us up to date? CF: I think overall the response has been positive. I've been able to rescue some otherwise lost games as well as get a few new titles out the door. And I get the whole gamut of replies on what people like or don't like in various games. 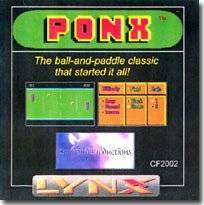 For example, some people are absolutely thrilled by Lynx games like Ponx (one of my best sellers) or Lexis, while others are unimpressed by these, instead preferring a CyberVirus or Championship Rally. The biggest challenge is really lack of free time. The small base of fans has proven time and again that they will buy decent games when they are published. I just don't have time or resources to push out multiple titles per year like I've sometimes done in the past. Finally, my hat's off to anyone who can develop and publish a game for an orphaned system. You've got virtually no technical support except maybe for a small community of hobby developers, no manufacturing plants, no distributors and no outside funding. It's pretty amazing that people are still releasing games for the Lynx and Jaguar even in the past 6 - 12 months, like Alpine Games (Lynx) and Painter (Jaguar CD). Keep up the good work, everybody! AA: I'm sure our readers would be very interested in how you get some of the previously unreleased games to market. Can you tell us a bit of the high-level process to find previously unreleased games, procure rights to these games if possible, the decision to manufacture, decision about when to publish (timing), etc.? CF: Boy, I could probably write quite a few chapters on this. I've certainly spent enough time on it over the yearsâ€”Iâ€™m talking about 100+ hours spent just in researching and licensing games, not even counting development, testing or production! But I'll take a shot at a high-level summary. Finding the games is half the battle. The two ways I usually find unreleased games is by either tracking down the original developer myself or by acquiring the game from a fellow collector. Locating a former Jaguar developer often requires *tons* of time, as people have changed jobs, moved to different countries, had a good/bad relationship with their boss, etc. And then once you find them, there's no guarantee they still have demos of their games or source code or even rights to let you do anything with said properties. So, after a lot of pain and effort, I've got a game. Yay! But what do I do now? Getting the proper rights to publish is the other half of the battle. Protector was an example where I found the developer on Usenet, but he understandably wasn't able to share the source code to this previously unknown Jaguar game without proper consent from his former employer, Bethesda Softworks. I first managed to secure educational use only rights so I could see the source, but within a matter of days we began negotiations on publishing rights. Fortunately, Bethesda was simply wonderful to work with, and it really helped that the developer, Joergen Bech, was quite happy to discuss the code with me and give me some pointers on how the guts of it worked. I then proceeded to do quite a bit of development on Protector to finish it properly and publish it. I eventually found myself wishing I had made even more improvements to the game, and thus two years later Protector: SE (Special Edition) was released. All told, I added a considerable amount to the original core gameâ€”I once did a "before and after" lines of code comparison, and I know I had added at least 30% new code. That's a lot of work for what was essentially a playable title when I received it. Other games have fortunately been much easier to license and publish. Games like Hyper Force, Lexis and Skyhammer came with no source code provided, so I had to pretty much publish the games as received. The original publishing effort back in 1999 was quite scary to me. 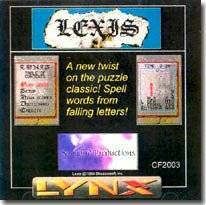 I had just done a small publishing run of SFX, Ponx and Lexis on the Lynx, which was several thousand dollars. This was a lot of cash, but didn't make me too nervous because the orders were coming in at a reasonable pace. Then I was faced with the prospect of publishing four new Jaguar games at roughly the same time, and the costs were in the tens of thousands of dollars! This was more than my checkbook would allow, so I put a partial pre-pay system in place to help assure that fans would indeed support such a risky venture. AA: Incredible! With the prior question in mind, can you relate the same process to how you handle homebrew or 100% original titles? CF: Homebrew titles have their own unique challenges, including lots of testing and to some extent assistance with the code, graphics and/or audio. The hard part is definitely long-term motivationâ€”how do you get basically an unpaid hobbyist to keep plugging away at a game over months or years? And this is no slight to any hobby developer... I get pulled in a dozen directions each week, too, so it's no wonder very few people find time to write a game from start to finish in their free time. Once the game is completed, I set up either a one-time fee or a per-unit royalty for a certain time period. This has worked very well so far, and since we discuss the terms well in advance of publishing the game, the developer knows what to expect. My experience so far, for example on Championship Rally, has gone very well in this area, and I hope to work with additional hobby developers in the future. AA: Are you a collector as well? If so, can you tell us a little about your collection? Is there something that attracts you to one format - be it videogame or computers - more so than another other than personal history? I also have a Nintendo 64 with about 20 games and an Xbox with about 20 games. The Xbox gets a lot of play lately thanks to the strong multiplayer games... I really enjoy Halo and Fuzion Frenzy, for example. AA: Sounds pretty grim for this next question then, but here goes anyway... Will Songbird Productions ever get into computer game development or publishing? I know I'd be interested in getting some re-released or even entirely new computer software for certain classic computer systems. Authorâ€™s final notes: I would like to thank Carl for taking the time to participate in such an extensive interview with us. We encourage everyone to check into the Songbird Productions Website, which includes a large catalog of games and accessories available to order.